News on Health providing information to protect you! News on Health is one of many pages on health issues. This page contains breaking news and up to date latest news articles on health topics, which encompass things you can do to protect yourself and things to be aware of that are harming you. I (Marilyn Vine) hope you enjoy reading News on Health as much as I have enjoyed putting this together. I receive various newsletters from a myriad of sources and this give me the foundation for this healthymoneyvine website and I also do additional extensive reading. Because of my passion for my own health and the health of the people I come into contact – many of my acquaintances send me information which they feel that I may like to include in a page such as news on health. All new information will be placed under this bookmark. NaturalNews dated 27 April 2017 provides statistical information on the increase of strokes in young people. Marilyn Vine asks “does this have to do with the article below regarding drinking Soda making you more susceptible to stroke or dementia?” Click this link to read the latest statistical information and draw your own conclusion. Is this making you more susceptible to stroke or dementia? NaturalNews on 25 April 2017 published this article “Shocking: Drinking soda daily may make you more susceptible to stroke or dementia”. To read this full article click this link and to learn more about artificial sweeteners click this link. 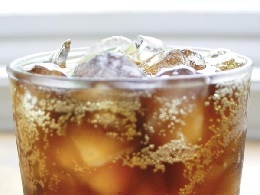 See the article below on caramelizing agents in Coke and Pepsi. Bill Gates and Melinda - AGAIN! On 21 September 2012 NaturalNews advises that investigations are undergoing in China with regards to the US Department of Agriculture having worked back in 2008 with researchers from China to test illegally genetically modified Golden Rice on rural Chinese children. The Golden Rice Project is one of the Bill and Melinda Gates Foundation projects. Do you eat Chick-fil-A Products? On 2 August 2012 NaturalNews advised of protests being staged outside these restaurants. BUT did you know that their products contain MSG, HFCS and anti-foaming chemicals! Personally I think these protestors should be more concerned about what the company is putting in its products! News on health brings you an article from NaturalNews dated 15 March 2012 with regards to members of the Advisory Board that does approvals having links with the manufacturers of the products they are producing. News on Health page brings information from Dr Mercola dated 28 February 2012 wherein he is speaking about flu vaccines. In this article he interviews Dr Natasha Campbell-McBride who covers the interesting topic of gut and psychology syndrome. Please watch the YouTube and then click this link for the transcript. I believe many parents of children diagnosed as above will find this a very interesting read. Dr. George Yu, M.D. LIVE from The Longevity Now® Conference 2011! Today, 14 June 2011, I have just posted two YouTubes to my Inspirational Page. The YouTube on the young Korean boy just blew me away and likewise with the Australian pianist. THEN I find myself posting articles like the following one! One gives me inspiration and hope for the future of the world and the other just brings me down to the reality of what some wicked people in the world today are perpetrating on their fellow man. You might ask me why I put information like this on the News on Health website if it brings me down. Simply, a lot of this information I already know and have known for a long while BUT there are so many people world-wide who do not know what is happening to their food sources. Even with the knowledge I have I find it difficult at times to source food that I know is same for me and my and family. Please take the time to read this article so that you too can take protection. Subsidiary of Pfizer selling chicken feed containing arsenic! On 7 June 2011 News on Health received information with regard to a new University of Missouri study that shows that Bisphenol A through diet has been underestimated. When they changed the way they conducted the research it clearly showed a greater accumulation in the mice. News on Health brings you a document covering some very simple remedies that you can do yourself. At the very end it has an article ”Do you believe in birdies?” This is a very touching story and I just wanted to share it with you. Many people today suffer from allergies either itchy red eyes, stuffy nose and sometimes even a sore throat. The following is an article on allergies and how you may help yourself using essential oils. FDA makes another move against supplement companies! Is the heat in America being turned up now that the EU ban on herbal supplements has come into effect on 1 April 2011? Is the FDA gearing up to follow suit? If this happens in America then you can guarantee it will happen in Australia! "While some of the companies market these products as dietary supplements, these products are all drug products under the Federal Food, Drug, and Cosmetic Act (FD&C Act), as they are offered for the treatment of disease," stated the FDA in a press release about the STD supplements. "These drug products, which are offered for the treatment of STDs, may not be introduced into interstate commerce without an FDA-approved new drug application (NDA)." So America classifies nature’s natural herbal products as drugs!!!!! A new study has just been released by EWG with regard to the harmful policies that the US Government employs with regards to remunerating farmers for the growth of their crops. Watch the YouTube below. “What they do not tell the public is that they are using HEK 293 – human embryonic kidney cells taken from an electively aborted baby to produce those receptors,” stated Debi Vinnedge, Executive Director for CGL, the watch dog group that has been monitoring the use of aborted fetal material in medical products and cosmetics for years. Coke and Pepsi in the News – Implications in Cancer! Since News on Health page commenced I have now started a new page called “Monsanto”. Monsanto was the large corporation who manufactured the products mentioned below. James Turner, the chairman of the national consumer education group Citizens for Health, has expressed shock and outrage after reading a new report from scientists outlining the dangers of the artificial sweetener Splenda (sucralose). In animals examined for the study, Splenda reduced the amount of good bacteria in the intestines by 50 percent, increased the pH level in the intestines, contributed to increases in body weight and affected P-glycoprotein (P-gp) levels in such a way that crucial health-related drugs could be rejected. The P-gp effect could result in medications used in chemotherapy, AIDS treatment and treatments for heart conditions being shunted back into the intestines, rather than being absorbed by the body. According to Turner, "The report makes it clear that the artificial sweetener Splenda and its key component sucralose pose a threat to the people who consume the product. Hundreds of consumers have complained to us about side effects from using Splenda and this study ... confirms that the chemicals in the little yellow package should carry a big red warning label." Sources: included the Globe Newswire September 28, 2008 and the original article was published in the Journal of Toxicology and Environmental Health Part A 2008;71(21):1415-29 and you can read the article in this link. on the following link. This website contains information on this article but also goes much further and gives a great many other studies and articles pertaining to sweeteners like aspartame and also the effects on people consuming these artificial sweeteners, particularly diabetics. Well worth clicking on and reading the articles contained. Click here to read the original article. More news on health has just come to me. Since opening my healthymoneyvine website it has given me many opportunities to present to the world, news on health. Until such time as I started this website in January 2008 I had no means of getting news on health out to the world. A good example is an article on the 10 Myths of Breast Cancer. To read this article click on the link. Are toxic metals causing you to feel sick? Doctors Galen Knight and Kaayla Daniel have found that even when people have good dietary guidelines they still can be sick. For further information please click on the link. News on Health brings the story of David Ewing Duncan who has been finding out what toxic chemicals are showing up in his blood. In today’s world our modern chemistry stop the ravaging of crops by insects, can remove stains from carpets and even in some cases can save lives. But we are beginning to realise that many of these chemicals are now taking their toll on our health. Who would have thought that acupuncture could work better than pharmaceutical drugs in treating hot flashes! Researcher, Dr Elaine Walker of Henry Ford Hospital in Detroit has found that acupuncture was just as effective as Effexor, also called venlafaxine, in managing symptoms including hot flashes and night sweats. She found that after undergoing treatment for 12 weeks that symptoms were reduced for an additional 15 weeks for women who had undergone acupuncture compared to just two weeks for those who had received Effexor. On 30 March 2009 Swedish, Danish and US Scientists accidentally discovered a link between vinyl flooring and autism! To read the study click on this link. News on health brings you all types of health topics and I love it when the news could help save a life! The original message was written by a lady whose brother and wife learned a hard lesson this past week. Their house burnt down.. Nothing left but ashes. They have good insurance so the house will be replaced and most of the contents. That is the good news. However, they were sick when they found out the cause of the fire. The insurance investigator sifted through the ashes for several hours. He had the cause of the fire traced to the master bathroom. He asked her sister-in-law what she had plugged in the bathroom. She listed the normal things....curling iron, blow dryer. He kept saying to her, 'No, this would be something that would disintegrate at high temperatures'. Then her sister-in-law remembered she had a Glade Plug-In, in the bathroom. The investigator had one of those 'Aha' moments. He said that was the cause of the fire. He said he has seen more house fires started with the plug-in type room fresheners than anything else. He said the plastic they are made from is THIN. He also said that in every case there was nothing left to prove that it even existed. When the investigator looked in the wall plug, the two prongs left from the plug-in were still in there. Her sister-in-law had one of the plug-ins that had a small night light built in it. She said she had noticed that the light would dim and then finally go out. She would walk in to the bathroom a few hours later, and the light would be back on again. The investigator said that the unit was getting too hot, and would dim and go out rather than just blow the light bulb. Once it cooled down it would come back on. That is a warning sign. The investigator said he personally wouldn't have any type of plug in fragrance device anywhere in his house. He has seen too many places that have been burned down due to them. Once again news on health brings warning that could help save lives. The Sydney Morning Herald, on 20 July 2008 has warned women that some lipsticks could contain lead. This has come about due to warnings issued in the wake of a U.S. ruling that a class action suit against LVMH, the manufacturer of Dior Addict Positive Red Lipstick which has been found to contain lead, can proceed. This particular lipstick was among dozens of lipsticks found to contain lead when the U.S. group Campaign for Safe Cosmetics commissioned an independent laboratory to test lead levels in 33 brand-name lipsticks. Sixty-one percent of the lipsticks tested had detectable lead levels. One-third of the lipsticks exceeded accepted U.S. levels of lead for products that are ingested. The Dior lipstick was found to contain more than twice as much lead as is allowed. News on health reports that in June 2008 that an extract from pomegranate may suppress the inflammation and damage in joints linked to arthritis, if results from an animal study can be repeated in humans. The journal, Nutrition reported that in the mice models used that the onset and severity of arthritis was delayed and reduced. For further information click on this link. 0n 8 September 2008, US News & World Report advised us that older people who had low levels of Vitamin B12 are at an increased risk of having brain atrophy or shrinkage. This is associated with impaired cognitive function and Alzheimer’s disease. In a study of 100 volunteers aged 61-67 years tests were undertaken but it is interesting that none of these individuals were actually deficient in Vitamin B12, but simply just did not have a high enough level. Keeping our brain young is important and News on Health page urges you to read the article. To read further on this please click on this link. Something to put the heart back into you! Well this can hardly be called news on health, but doesn’t it just warm your heart? Please watch the You Tube below and see the amazing sight of this lion and its woman rescuer. The woman found this lion injured in the forest and ready to die. She took the lion with her and then nursed it back to health. When the lion was better she made arrangements with a zoo to take the lion and give it a new and happy home. The video was taken when the woman, after some time, went to go visit the lion to see how he was doing. Watch the lion's reaction when he sees her. If you have enjoyed News on Health Page then I would love to hear from you in the email form below. Please do not hesitate to contact me if you have any questions with regards to this News on Health Page or any other page shown on this website.